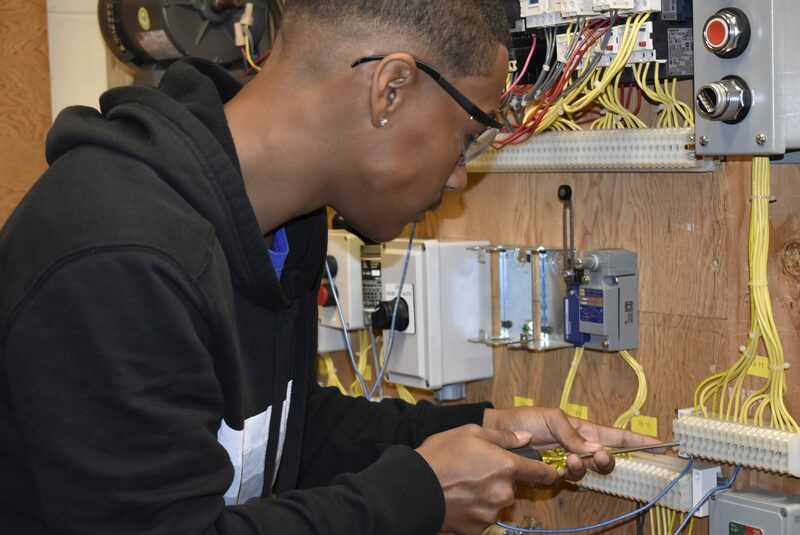 Students entering into the Electrical Technology program must possess good math skills and mechanical aptitude. They must also demonstrate the ability to work with abstract concepts. 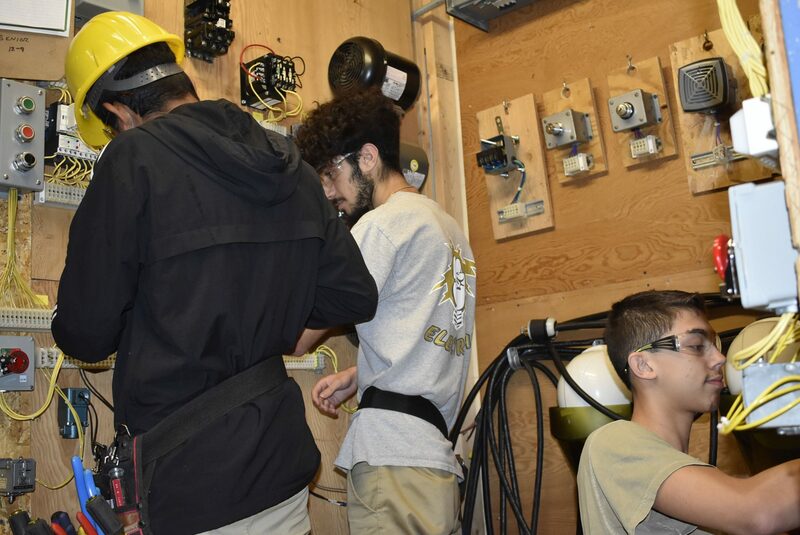 Electrical Technology students work with all the standard equipment and materials used in the industry. 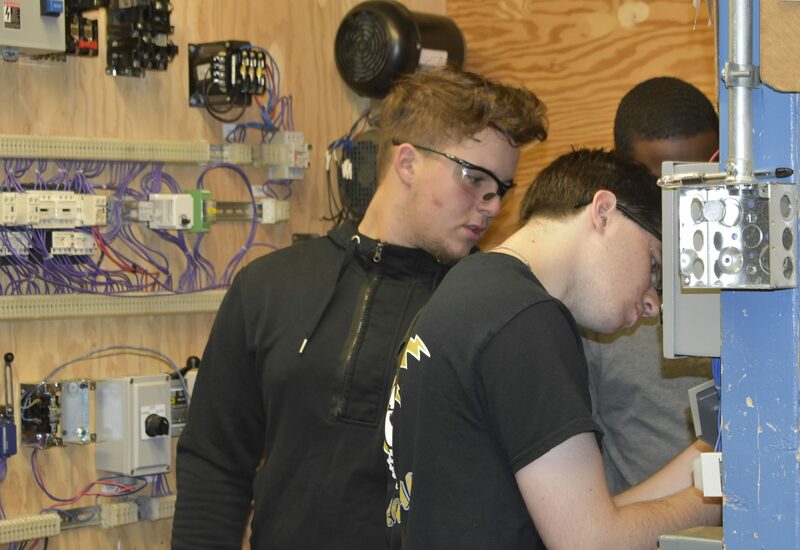 Emphasis is placed on reading and understanding blueprints and various types of mechanical drawings, and interpreting theory and codes associated with the industry. 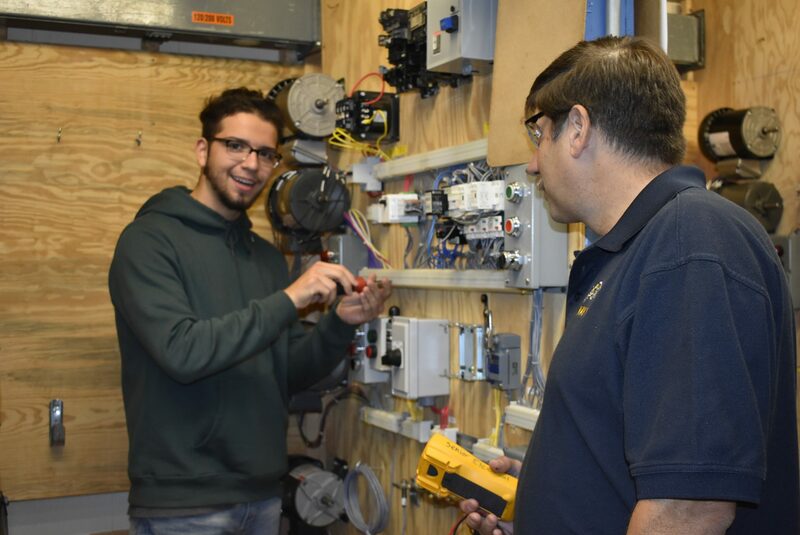 Upon completion of the Electrical Technology program, students can choose many basic or specialty areas. 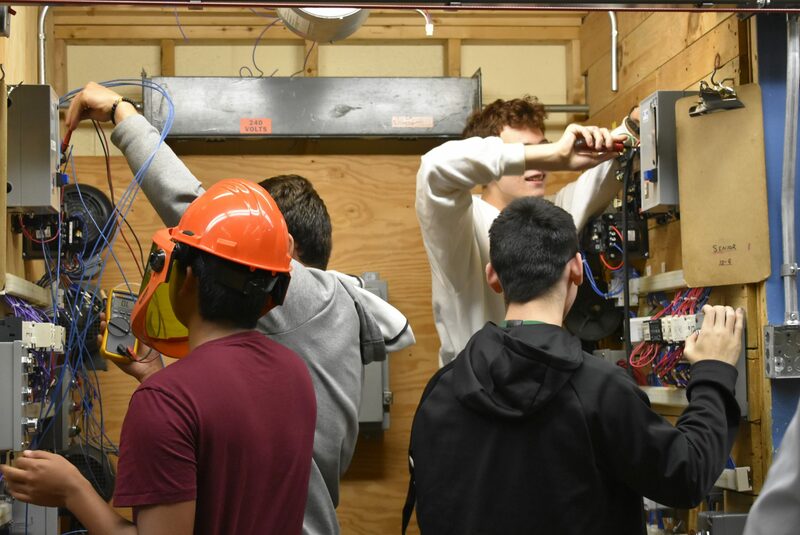 These areas include home wiring, industrial and manufacturing, fire and burglar alarms, electrical distribution, programmable controllers, and energy management systems. 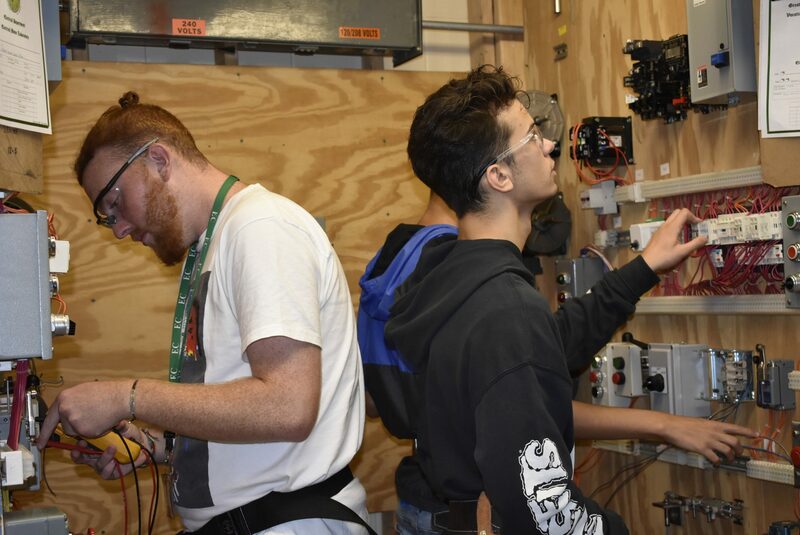 Massachusetts law requires all individuals in the electrical industry to serve an apprenticeship before applying for the required license. 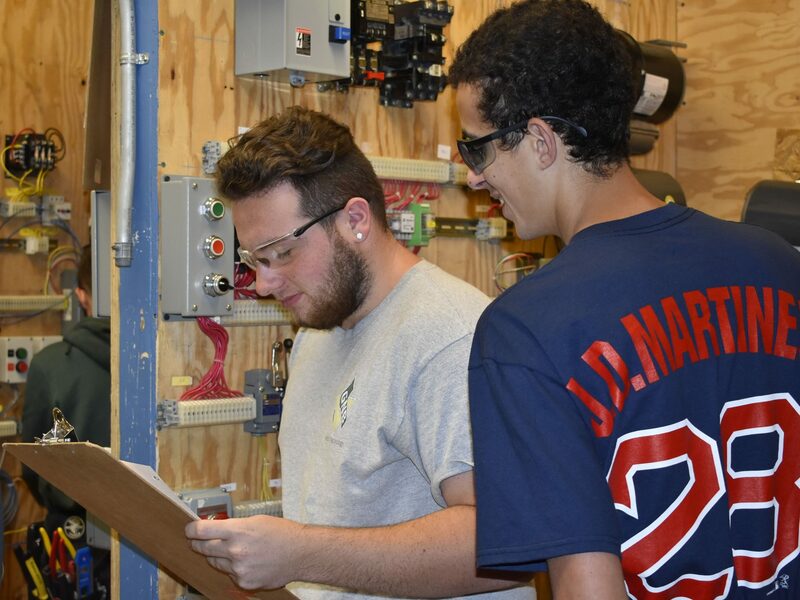 Part of this requirement is fulfilled by the training received at GNB Voc-Tech. 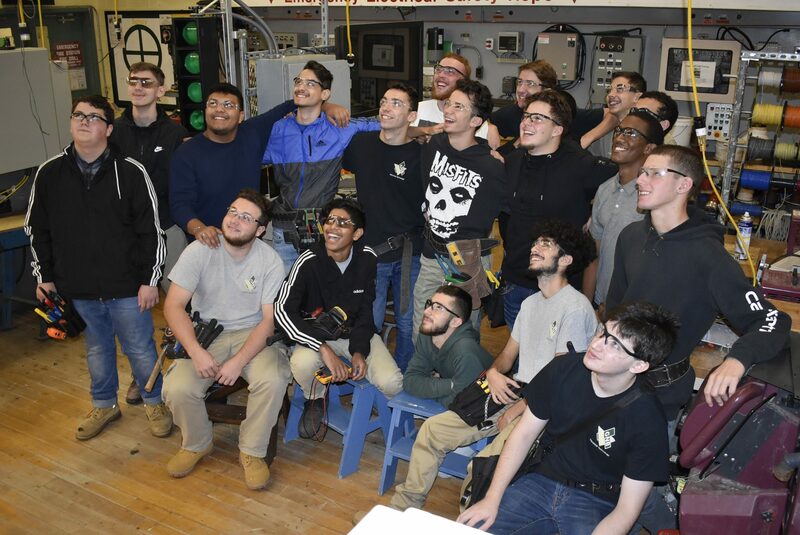 The remainder is done through on-the-job training upon completion of the program. 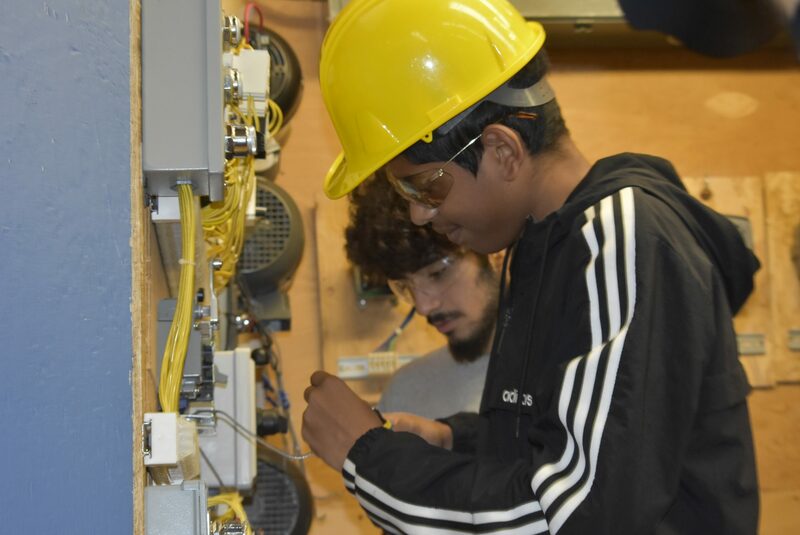 Students often proceed directly into the workplace as apprentice electricians or further their education in areas such as electrical engineering, electrical drafting and estimating.